Throughout the farming year we experience waves of various produce. One of the nicest aspects of shopping your local Farmers Market is that you are given the opportunity to eat the freshest local produce. The spring season usually begins with a large number of greens but before you know it you will find some of the juiciest tomatoes anywhere. 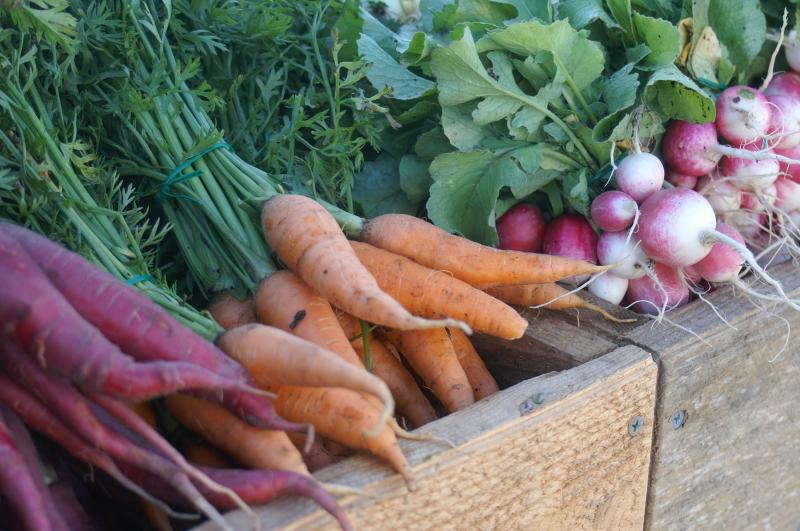 This page offers you a list of what produce will be in season throughout the year as well as weekly pictures from our table at the Red Bank Farmers Market. **The availability of produce and herbs is based on changing weather conditions. Therefore this list is not a guarantee. We are very excited to introduce the first carrots of the season next to nice firm bunches of french breakfast radishes! This year we have grown an assortment of various carrots including the Red Dragon carrot in the far left hand corner of this picture! They are so sweet!!! 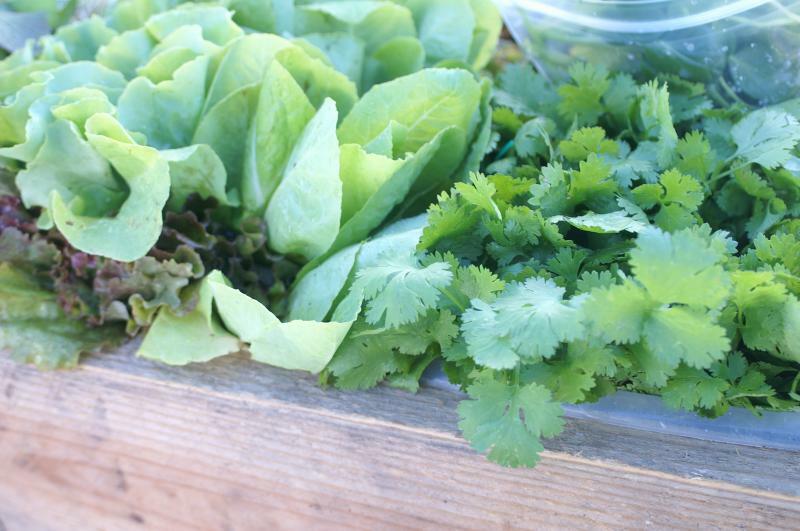 As the summer season begins, we see the slow ending of spring greens (red leaf, green leaf, and Jericho) and the farming years first cilantro.